Backpacks are extremely comfortable and they are in trend now but you may think that a backpack is not very easy to style: you risk to look like a teenager and not like a stylish and chic girl. What are the outfits to wear, which would look cool with backpacks and still look grownup? Here are some ideas to try. If you take a pantsuit or just office-like pants, you can create a chic office look with a backpack. Add a shirt or a proper top, put on heels or slipons and take a backpack – a cool work outfit is ready! 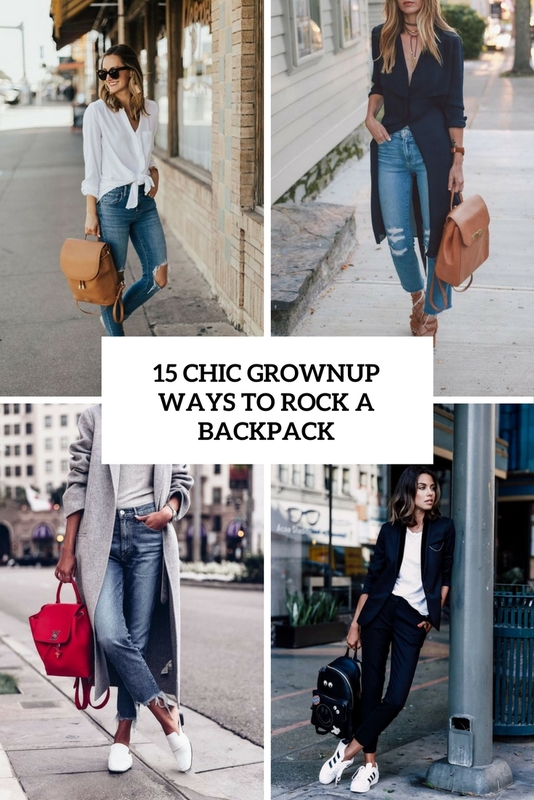 You can also rock a chic tuxedo with heels and a backpack to some special occasions. Leather pants with a top, a moto jacket and booties and a backpack will make up a gorgeous rock-inspired outfit. 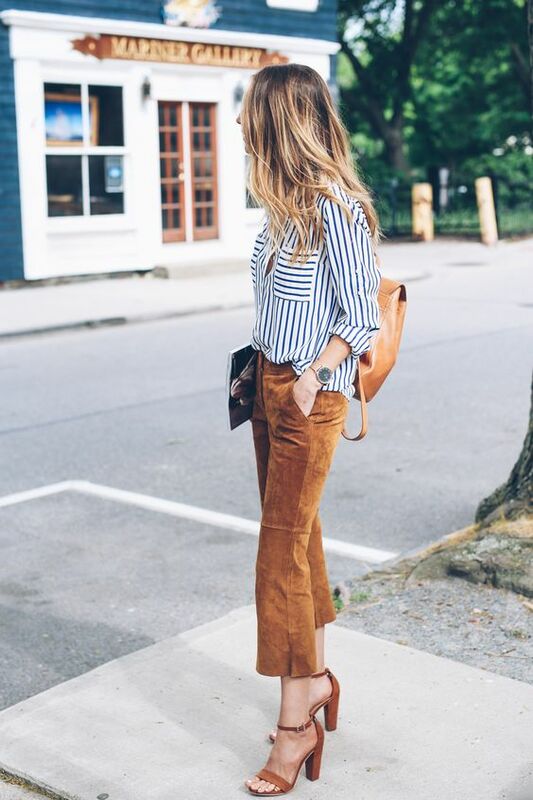 Cropped suede or velvet pants with a shirt and heels will be a chic fall look – add you favorite backpack and go! Jeans and backpacks seem to be created for each other: add a top, a chunky knit sweater, a coat if needed and put on sneakers or slipons to create a comfy casual look. 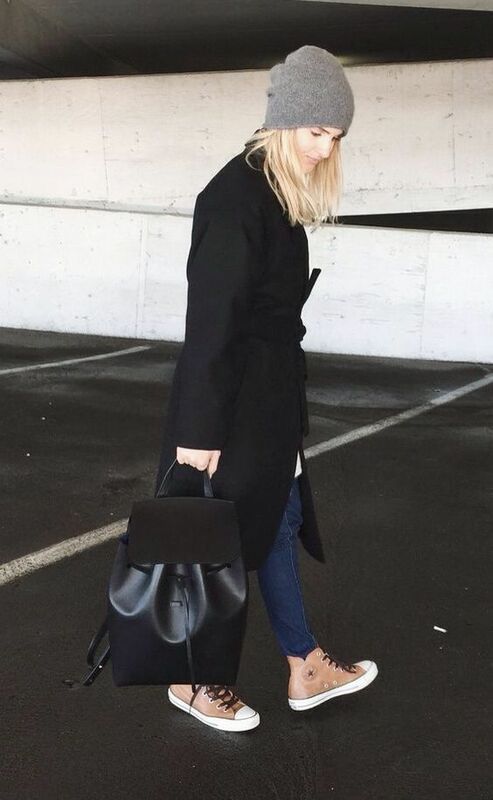 black ripped jeans, a black or white top, boots and a backpack are a super cool and timeless outfit.